Journal of Computational Science (JoCS) is a young journal founded by the Computational Science Lab. We’re proud that JoCS impact factor (from Web of Science), has grown 62% (from 1.078 in 2015 to 1.748 in 2016). 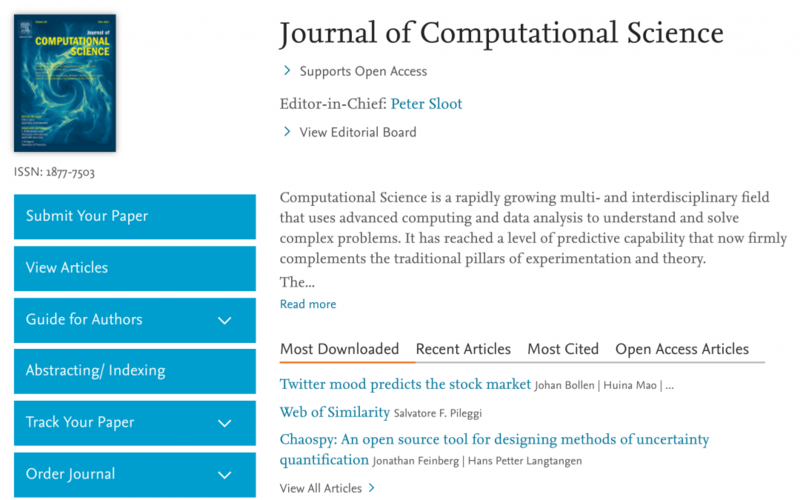 Journal of Computational Science aims to be an international platform to exchange novel research results in simulation-based science across all scientific disciplines. JoCS supports open access. We are always looking for original top quality papers, special issues and new editors. Please contact P.M.A.Sloot@uva.nl.